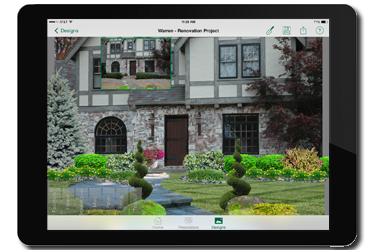 A Great Choice Lawn Care & Landscaping has partnered with PRO Landscape Software to allow you to visualize your new outdoor oasis before you commit! We can show you what your new landscape will look like throughout the seasons, choose different plant options in seconds, and even show what your landscape lighting options will look like lit up at night. This preview is complimentary with your FREE landscaping estimate. Did you know appraisers across the country believe that your landscape can add up to twenty percent to the value of your home?! What does Landscaping Mean to You? The loose term of “landscaping” encompasses many different things. While many associate the term with the simple act of planting flowers and creating a healthy, green lawn, it actually means so much more. Landscaping is the art of creating a perfect yard. It’s the art of adding aesthetically pleasing features to your yard, removing those that are not wanted and turning something that is not your taste or up to your standards into something remarkable and worthy of a second look. Landscaping is one of the most important considerations when it comes to any home. Whether it is sitting on your outdoor patio in Binghamton watching the kids play, or watching the boats sail by in your beautifully landscaped back yard in Ithaca, a well landscaped outdoor living area can make the perfect place to end your day. What makes landscaping so important is first impression. A person will judge and make an assessment in less than five seconds of meeting someone or seeing something for the first time, and that opinion is often difficult to change once made. Your yard is the first thing anyone sees when they come to your home. An unattractive, unkempt home with no landscaping – or poor landscaping – will leave others with a bad taste in their mouths. Additionally, your home might one day be on the market. For now it’s your dream home, but a big life event such as an unexpected job opportunity can quickly change things. If ever you find yourself looking to sell, your yard is going to be one of the first things people notice. 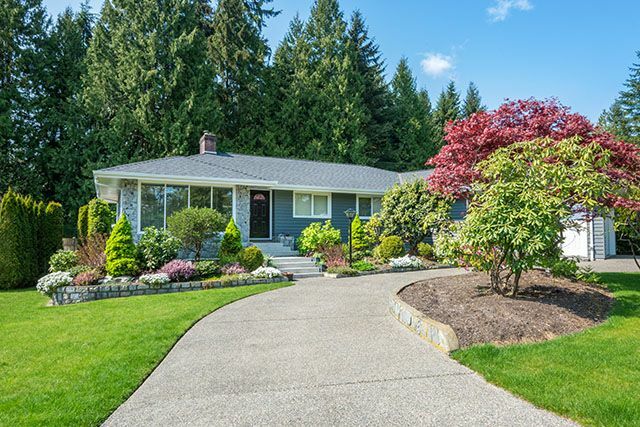 Many beautiful homes with a load of potential miss out on possible buyers based on unattractive landscaping, which leads buyers to other homes. Not only is it ugly, it turns buyers off because they don’t really want to have to figure out how to handle the landscaping in any one yard. What matters most, however, is how you feel about your home. Pulling into the drive at the end of the day should be something you love to do. It should be something that makes you happy; something that makes you feel good about your house. It should be an act that leaves you feeling good about yourself. Your yard should be the type of place in which you want to spend time; a place you want to enjoy and relax. Your yard should be beautiful, elegant and comfortable. Your yard should have the right landscaping. Our new installation landscaping service is catered around you the customer. We will meet you at your proposed job site and truly try to give you exactly what you want. It is essential that there be interaction with us during the design phase. While we will provide you with the quality products, install them safety and efficiently with respect for your property, and basically act as if this project was our home, this landscape is at your home and you need to love the job we have done for you. We've helped both residents and businesses in the greater Binghamton region and in greater Ithaca create the outdoor dream space that they love coming home to each evening. Oftentimes a home comes complete with a yard that already has natural and beautiful features. Stone paths, beautiful trees and even previously installed fountains or retaining walls can be lovely. However, the landscaping around these items is not always. That’s when it’s time to look into landscape rehabilitation. This is the act of using the features already in existence to create a lush, elegant and beautiful yard to accompany a home of the same caliber. The features you want to keep remain untouched and protected, and everything around these features is improved upon to enhance the overall aesthetic appeal. A beautiful lawn requires care and attention in the form of landscape maintenance. It’s impossible to keep a beautiful lawn beautiful if it is not cared for properly. While some homeowners are happy to and perfectly capable of caring for their own lawns, some haven’t the time, desire and/or expertise needed to keep their landscaping professional and beautiful. That’s where our landscape maintenance abilities come in handy. Your yard will remain lovely and lush with proper care. One of the most interesting aspects of any landscape design is a stone feature. This can be anything from an elaborate birdbath to a fountain. Designed to bring a bit of interest to an otherwise very simple yard, this is a feature that adds not only value to a home, but interest to the eye. Decorative landscape rock, for example, can greatly enhance the look of a garden or path. A path into the midst of a lovely garden invites you to come into the garden with a walk and a few moments to enjoy the beauty of nature. Additionally, stone features such as outdoor fire pits and fire places can add a second dimension to any landscape design by inviting people to use the landscaping in addition to using it for only viewing purposes. Many believe, mistakenly, that retaining walls are used only around waterfront property. It’s a myth perpetuated decades ago, and completely incorrect. In fact, retaining walls are used in suburban homes all over the country for the added look of interest. These can create a multi-tier garden, planting beds and even seating. They’re designed so that homeowners have some dimension, and they last many years. These are a fabulous selling point for any home, and they even allow homeowners the opportunity to raise the asking price of their home significantly based on the fact that they are such a unique addition. Anyone can have a boring, typical concrete walkway leading up to their home, surrounding their pool and around the fire pit. However, landscape designers can change a typical home into something phenomenal with the simple addition of pavers and walkways. This beautiful accent makes it possible for you to enter your home with more grace and elegance, and it helps to set apart an extraordinary home from the average homes in any given neighborhood. Most homeowners choose to have pavers added to their landscape design to make walkways more interesting. Some add the design all the way down their drives and others use the same concept around the pool. It’s simple, it’s beautiful and it has a lasting effect and a significant impact. We always ask if there is a particular plant or color of flower you’d like incorporated. By obtaining a sample or photo of the plants, we will make sure we understand your requests and fulfill them to the best of our abilities as we realize your landscape tells a great deal about who you are. We meet to discuss your options, likes, dislikes and personal preferences. From there we can start creating the plan for the end result you are looking for. We will present you with a project plan with plant materials, samples, pictures and depending on the size of the project, formal or informal design drawings. Once approved, we will schedule your project and make all the necessary preparations prior to showing up on the start date. Upon receipt of all required materials we will be on site and work until the project is completed. During the build, if the customer is available, we will solicit your input throughout the project as checking points for all involved. If at any time you have a question or something doesn’t seem quite right, we encourage you to call us so we can work together to remedy the situation. 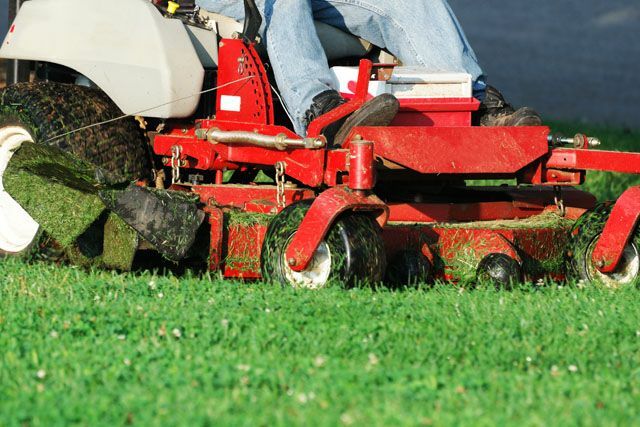 We are proud that many of our "New Installation" accounts ask us to stay on and provide maintenance services, mowing, lawn care fertilization, and a tree and shrub program. We enjoy facilitating the growth and maturation of new plantings and welcome the opportunity to provide these services to you. If you are a Binghamton NY or Ithaca NY resident or business and you want to transform your landscaping ideas into a reality, fill out the form on this page or call us today for a FREE estimate.